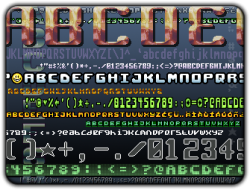 Lots of varied size fonts to be used for game development. These are excellent! Thank you! 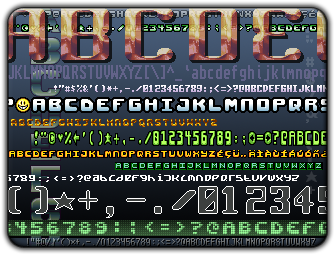 This is a truly glorious font pack! May I have an exemption from the anti-drm clause of CC-BY 3.0 for these fonts? Would like to use geebeeyay 8x8 and 8x16 in a game I am working on but would like to distribute the game on platforms that require DRM. Note that the zip contains a license.txt with a different licence (Common Public License Version 1.0) to CC BY 3.0, this should probably be removed (or listed as a dual licence option) to avoid confusion.